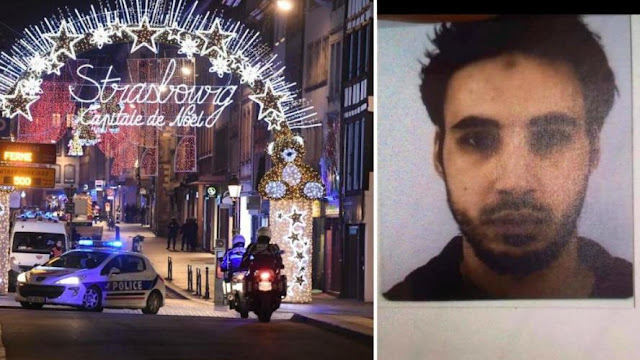 He is called Cherif, 29 years old, born in Strasbourg, but of North African origins, the attacker who killed three people last night in the French city and wounded 12 others. Cherif was reportedly radicalized during one of his periods in prisons and was listed as dangerous on police records. In fact security forces had wanted to arrest him just yesterday morning for involvement in a robbery with murder, but the police did not find him in his home. This is what is known until now of the young man who is still on the run, following a shootout with the police during which he was injured. The attack took place yesterday evening around 8pm (local time) at one of the Christmas markets, near the central Place Kléber. It appears to have been a terrorist attack, even if the reasons are not yet clear. At least six of the injured people are in very serious conditions. The French security forces are on full alert and in great tension, because of the anti-government demonstrations of the "yellow vests" that follow each weekend. It is with sadness and concern that His Holiness Pope Francis learned of the attack that took place last night at the Christmas market in Strasbourg, which caused several casualties. Pope Francis again expresses his firm condemnation of such acts. He shows his compassion especially to the affected families and to all those affected by this attack, assuring them of his prayer. While entrusting the dead to the mercy of God, the Holy Father has a special thought for the professionals and the volunteers who take care of the wounded. As a pledge of consolation, he implores the abundance of divine blessings on the victims, on those who assist them and on all the French people.